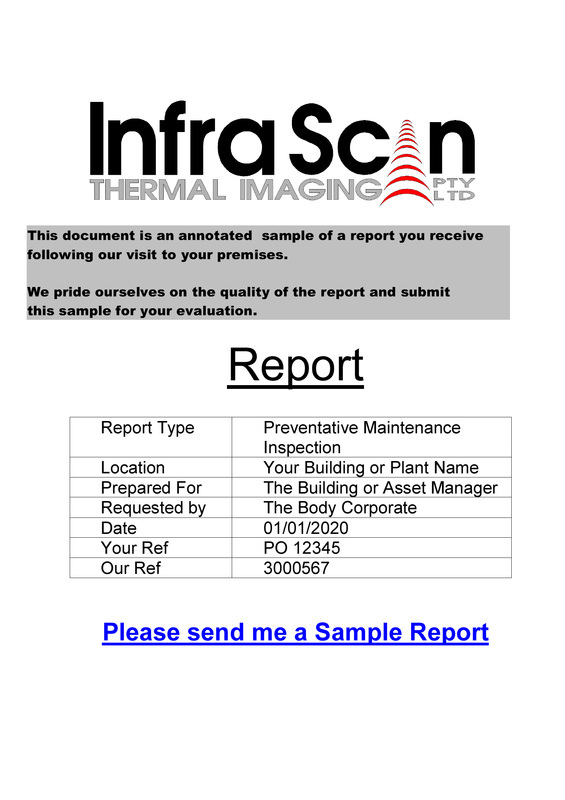 Infrascan Thermal Imaging's focus is thermal imaging of electrical switchgear, but we routinely scan bearings, gearboxes, transformers, motors, plant and production equipment. Our policy dictates that we use state of the art thermal imaging devices. Our latest thermal device is four months old. It can detect a 0.08°C change at 30°C. At Head Office - by a diploma graduated engineer (N HDip. Eng - Elect). Each report is prepared and signed off by a Level 1 and Level 2 thermal imaging course graduate.